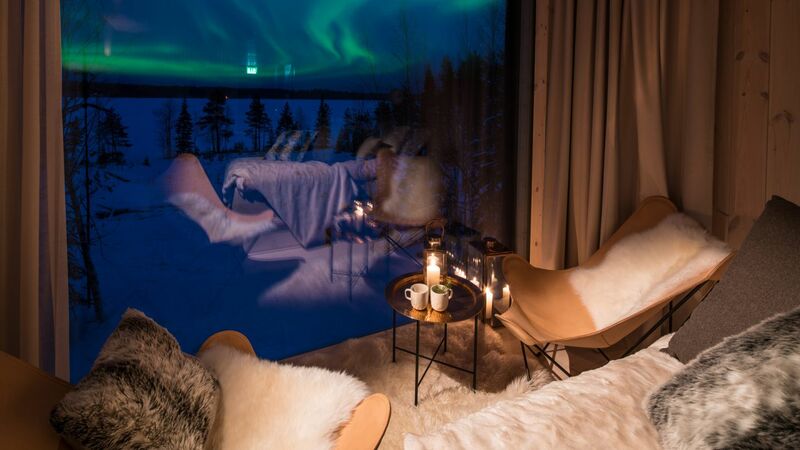 There aren’t many things that can light the spark of love quite like a romantic suite in Lapland. There are countless outdoor activities to do nearby, but we totally understand if you just want to hang the Do Not Disturb sign on the door knob and spend some quality time in these exceptional suites. Would you like to stay in a cozy log cabin with your own sauna? 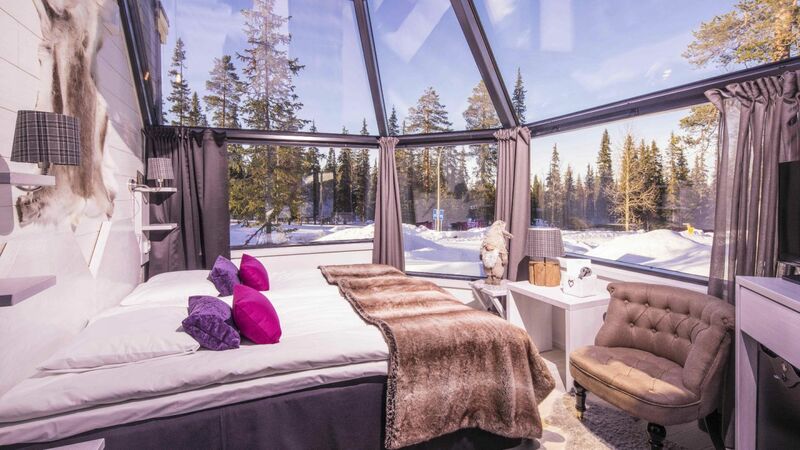 Perhaps you’d like to spend a night in a glass igloo under a starry sky? 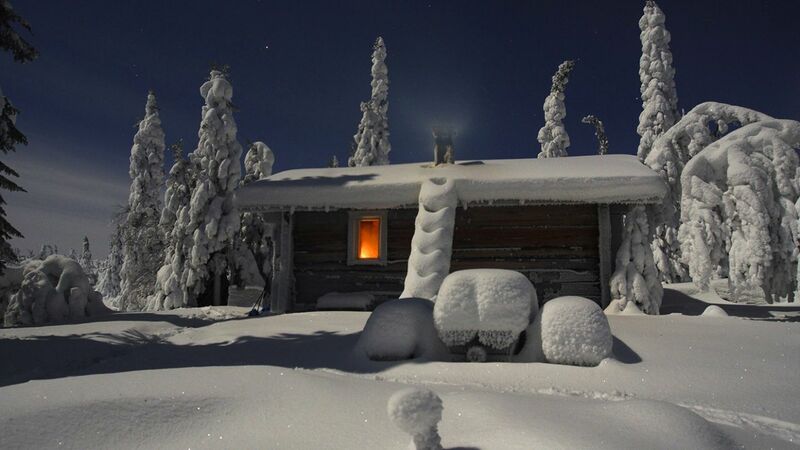 There’s a wide range of wonderful accommodation options available in the Inari-Saariselkä region. Whether you choose a lakeside cabin, ski resort, or wilderness refuge, quality and coziness are guaranteed while the peace and quiet, and the beauty of nature will always be your neighbor. Relaxing in front of the fireplace at hotel Iso Syöte is an ideal way to spend a romantic winter night. Or perhaps you feel like having a bubble bath? That works too, as the unique and exclusive EAGLE VIEW SUITE has an own Jacuzzi overseeing a breath-taking view of the unspoiled Lapland nature. 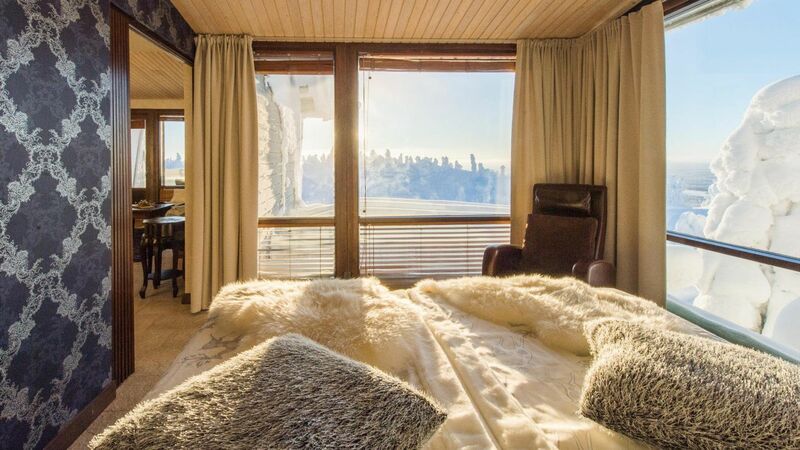 Fall asleep on the luxurious, round bed while gazing the millions of stars through the glass ceiling, waiting for the aurora borealis to light up the sky. The unique location of the Levi Spirit resort makes you feel one with amazing wilderness. 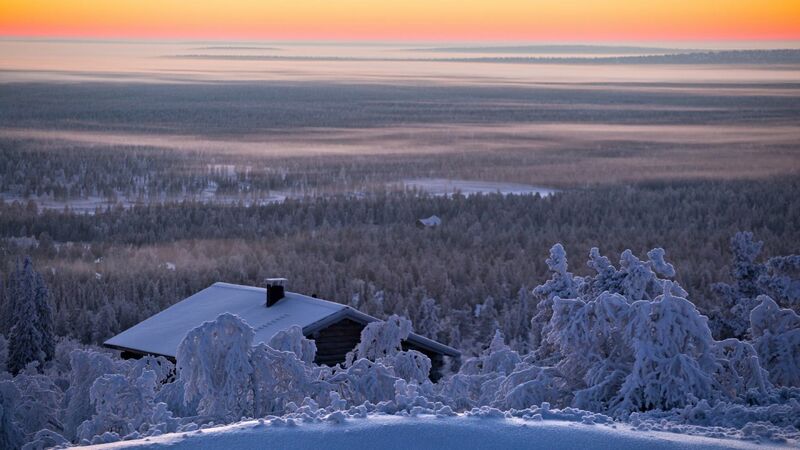 These luxury villas in Lapland offer plenty of space, peace and privacy. The best of nature’s materials make up the elements of this modern architectural design. The exquisite décor of each 10-person villa is finished with the finest fabrics and furnishings. The top floor conceals an exceptional special feature, “Kammi” with an inviting open fire. A place where the peace and serenity of Lapland truly flourish: Aurora Estate is a cozy boutique hotel in Lapland with just 8 beautifully decorated rooms, and with an enchanting Lapland restaurant set in a warm log house atmosphere. Situated by a lake in the small village of Ylläsjärvi, this truly is a hidden gem of Lapland: the ideal window for enjoying the dance of Northern lights while the Ylläs fell silhouette is drawn to the background. An hour from Ivalo, Finland’s northernmost airport, the Muotka Wilderness Lodge is in prime position for aurora hunting. Next to the arctic fells of the Urho Kekkonen National Park, but never far from services, each igloo-shaped cabin has a north-facing transparent side to ensure the best possible view of the starlit sky. Snuggle under the blankets for a unique night of Northern Lights viewing. 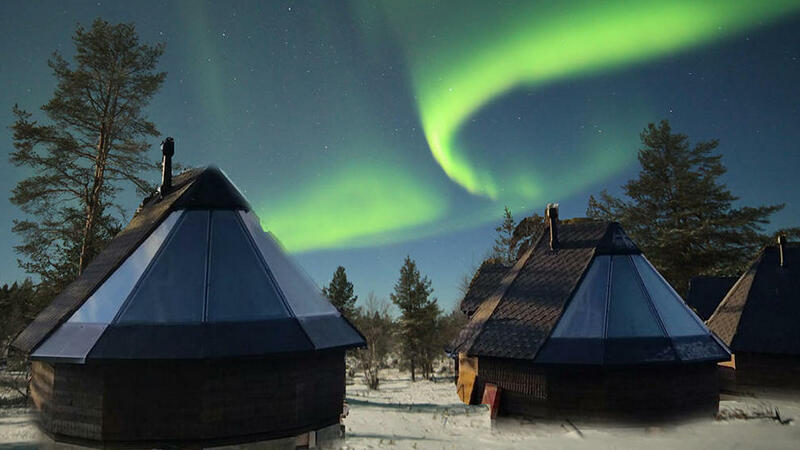 26 kilometers from Rovaniemi, the glass-roofed igloos of the Arctic SnowHotel & Glass igloos are far enough away from the bright city lights to enjoy fabulous displays of the aurora borealis. 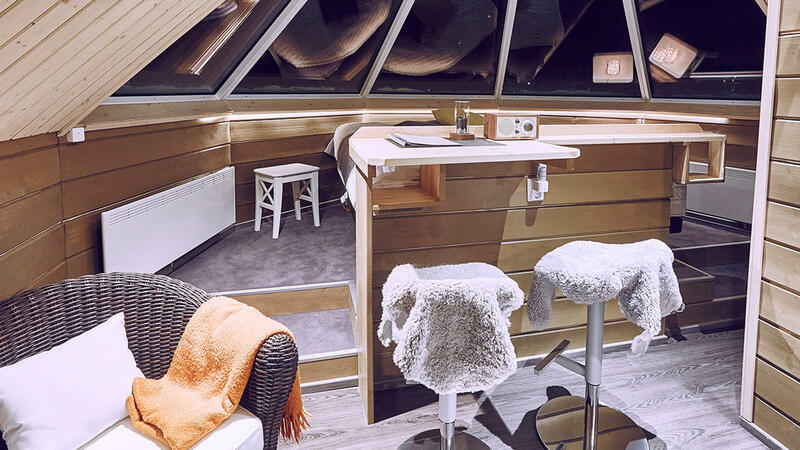 Perched on the shores of Lehtojärvi Lake, these cosy pods have electrically-heated glass ceilings and private showers and toilets. Request the hotel’s Aurora Alarm and drift off safe in the knowledge that you will be woken if the northern lights appear overhead. Opened in 2015, the Arctic Light Hotel in Lapland is conveniently located in the center of Rovaniemi and offers a luxurious combination of Lapland heritage and contemporary style. The hotel boasts five unique Aurora Rooms with wonderful sky-view windows – perfect for aurora viewing right in the city. For an extra touch of festive magic, a separate and cozy Christmas-themed cabin is available for four people. Dreaming of an escape from the hectic life? Salla is an authentic Lapland village situated above the Arctic Circle, next to the Russian border and in the middle of one of the largest wilderness areas in Europe. Here you’ll find a variety of cozy cottages to relax in the middle of unforgettable nature. Sallatunturin Kelorinne semi-detached houses made of deadwood log are situated right next to the ski slopes and all services. In the middle of Finnish Lapland, only ninety minutes from the Arctic Circle, Luosto is a winter wonderland offering a wide range of activities in the heart of the national park. 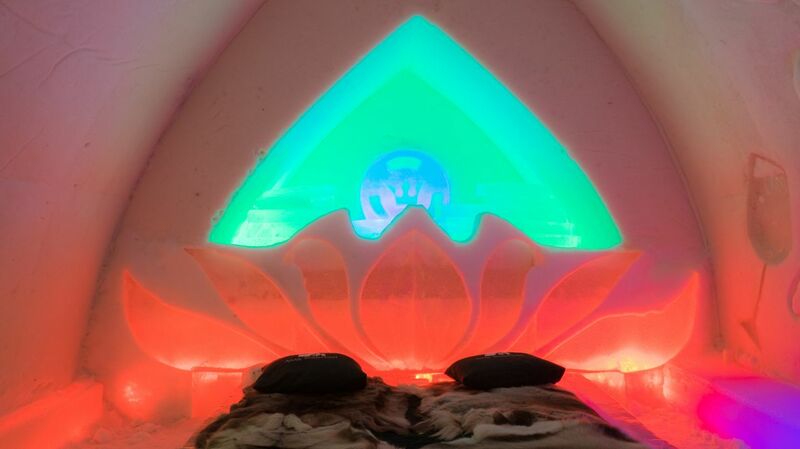 Check in to an Arctic glass igloos at the Santa’s Aurora Hotel. With glass walls and ceilings, these unique pods are designed in the style of a traditional Lapland hut. 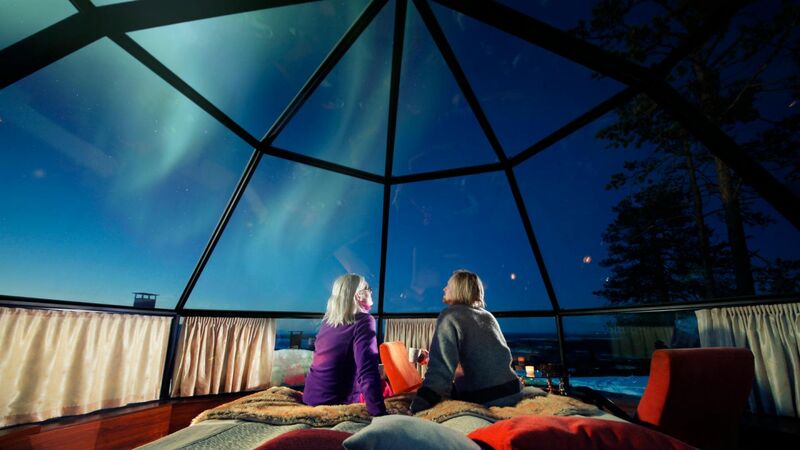 Retreat to your glass Arctic View room and watch the night sky for celestial aurora displays. Double beds swathed in soft linen sit directly beneath glass ceilings in the wooden Aurora Huts, ready for bed-bound sightings of the auroras. Brand new and suited for couples, these stylish huts come complete with private toilets and showers. Steam in a log sauna before dashing to the avanto, a hole carved in the ice for a swim. Located in the authentic Lappish ski resort of Pyhä, you have plenty of outdoor activities to choose from. 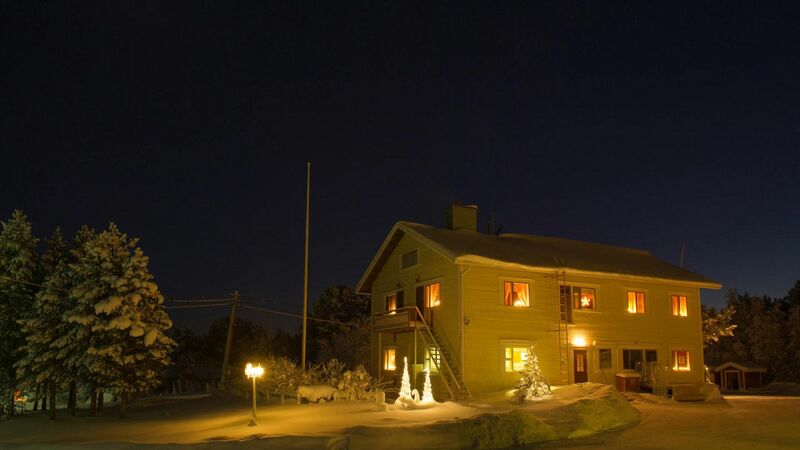 Rooted in Lapland tradition, this hearty family hotel in Lapland has served its guests since 1924. Set in peaceful grounds at the centre of Hetta village in Enontekiö, this is your gateway to unspoiled nature with the purest air in Europe. After a traditional home-cooked buffet, go aurora hunting in the backyard. Now in the hands of the 4th generation of a welcoming family, Hetan Majatalo is just what the doctor ordered: peace and quiet. Let a panorama of a billion stars or, if you’re lucky, the Northern Lights, be the last thing you see before your eyelids droop. 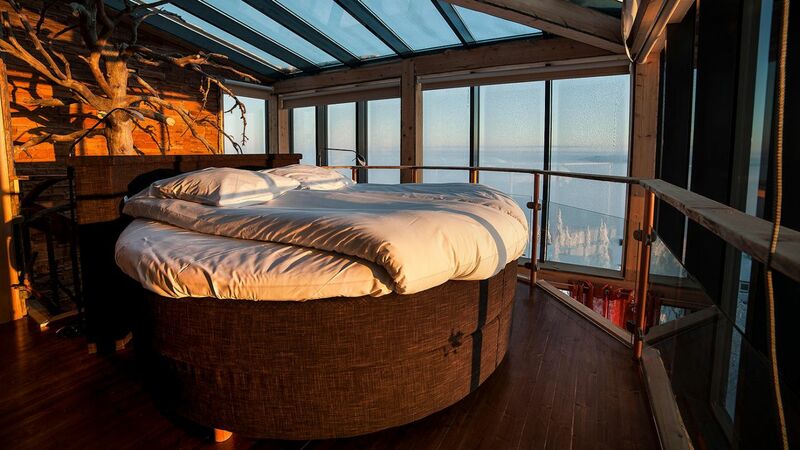 Nature’s greatest natural light show can be enjoyed from your cozy bed, protected from the chilly temperatures. Set in the untouched wilderness surrounded by frozen lakes and snow-capped forests, Bubbles come complete with an indoor eco-toilet. Services including fun safari adventures are at your doorstep. 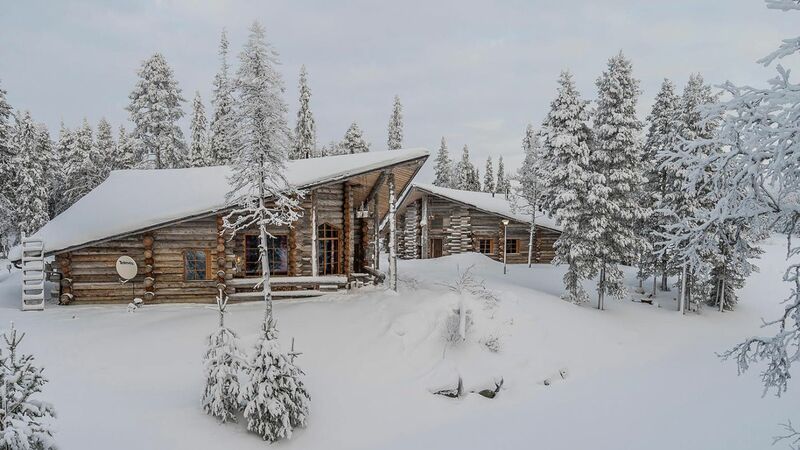 Voted Finland’s Best Ski Chalet for the past three consecutive years by the World Ski Awards, Rukan Salonki Chalets offers you all-inclusive accommodation in Kuusamo for a perfect aurora hunting holiday. 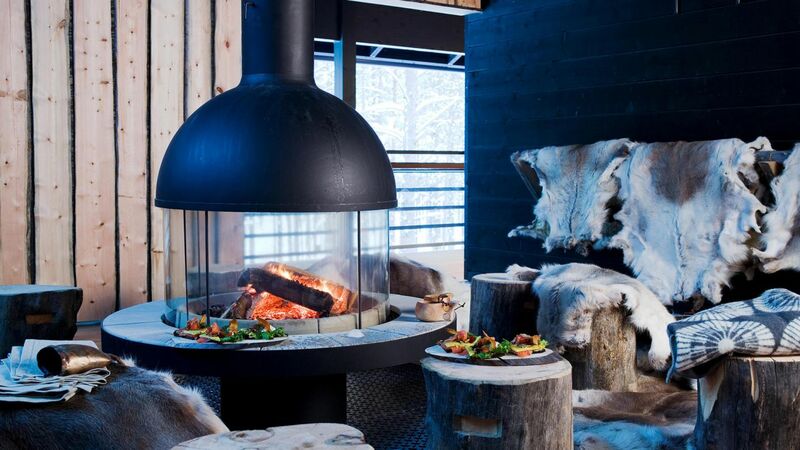 14 high-quality deadwood cottages and Wild Food Restaurant Kultala are set in a private area with forest and lake scenes, only 2 km from the Ruka Ski Resort. 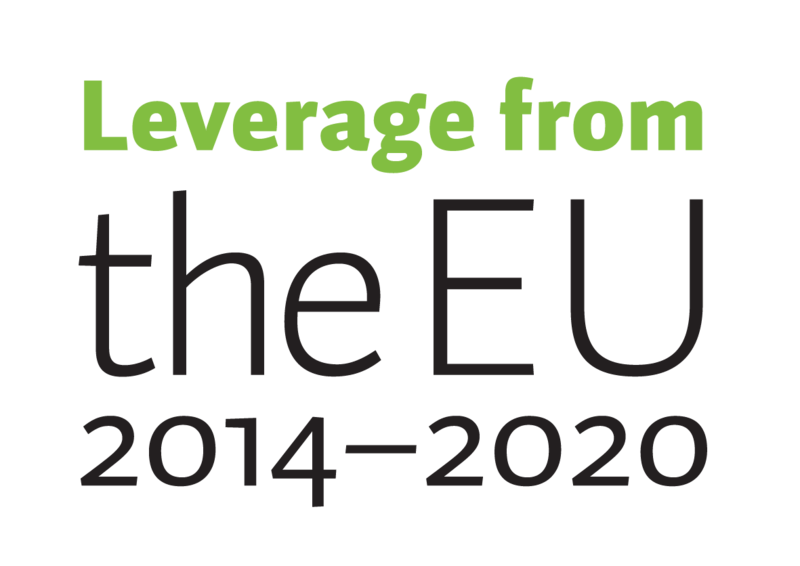 Immerse yourself in the local curiosity – the ICE SAUNA – or a variety of guided Finnish sauna experiences! 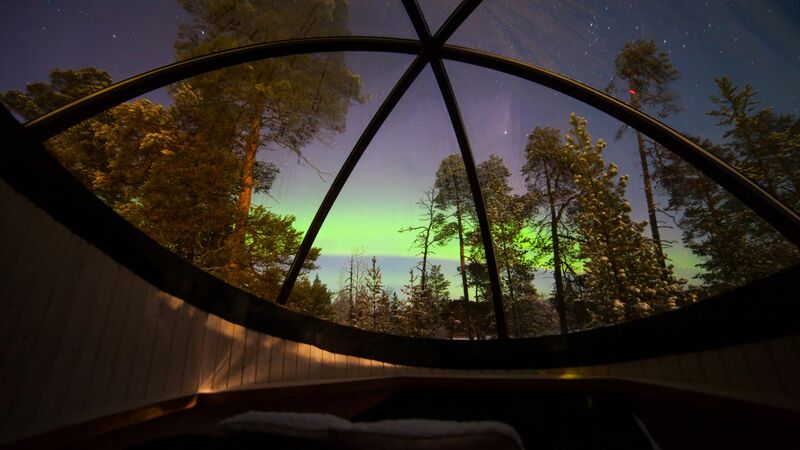 Watch the northern lights paint ribbons of color across the sky from a glass igloo in Levi – Finland’s largest ski resort. 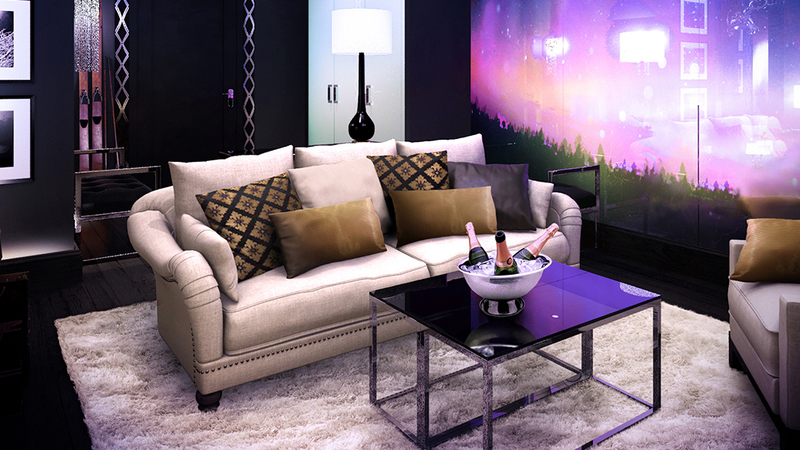 Each glass igloo has a fully-equipped kitchenette, shower and toilet. At the center of each is a motorized double bed from which you can watch the Northern Lights dance across the night sky. Upgrade to a Premium Igloo for uninterrupted panoramic views across the snowy fell. 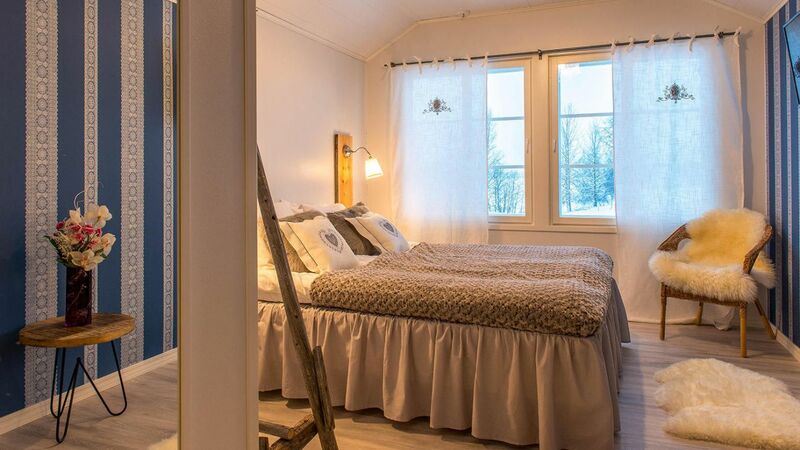 The rooms of this charming boutique hotel in Lapland are decorated in a modern style and with natural materials, and the color scheme is individually designed for each room to give them a truly unique touch. The rooms also boast amazing views looking out on the superb scenery of the northern wilderness: you may catch the exotic aurora borealis in full view from large windows or from the outdoor Jacuzzi of the hotel’s own sauna world! Opened at Christmas 2016, the brand new Arctic TreeHouse Hotel in Lapland is the Grand Designs of Lapland holiday accommodation. 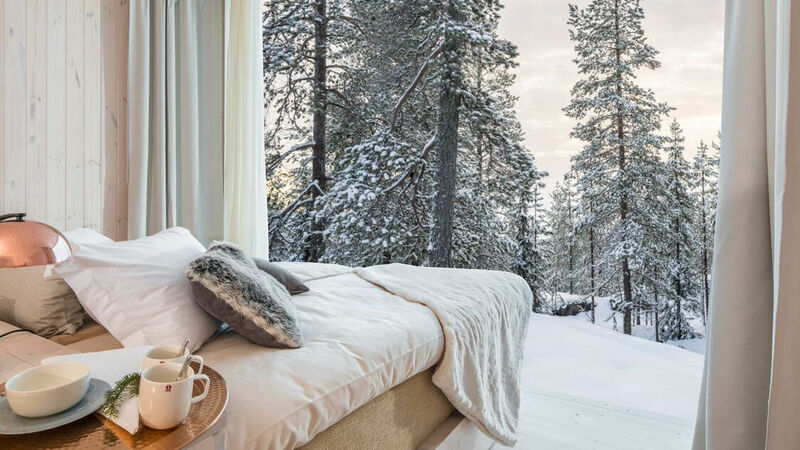 Each private pod-suite, with its warm wooden interior and exclusive Scandinavian design, includes a glass feature-wall allowing unlimited views of the glittering forest and winter skies. Inside you’ll find double or twin beds, an en-suite bathroom with shower and toilet, flat-screen TV and espresso coffee machine.